These days I find myself really looking forward to a day off of work. I'm not really sure why. 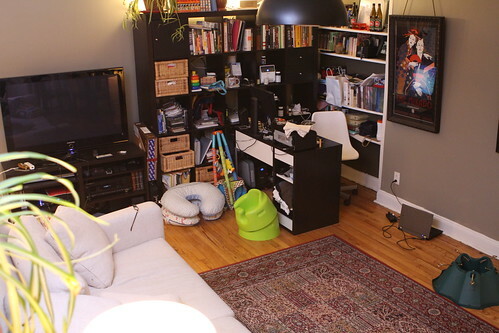 A typical day off of work consists of laundry, dishes, general house-cleaning, running errands, taking out garbage, and just generally straightening up around the house. Sadly it means I usually have so much work to do that I have to drop the Wombats off at daycare and pick them up just so that I can get it all done. If they stayed here the amount of work I got done would be approximately zero. Today I also had the added chore of needing to figure out a way to rearrange the living room so that we could somehow fit a Christmas tree into it this year. The addition of the Wombats to the family means a lot less space. The guys and their gear take up probably 35-40% of the apartment now. 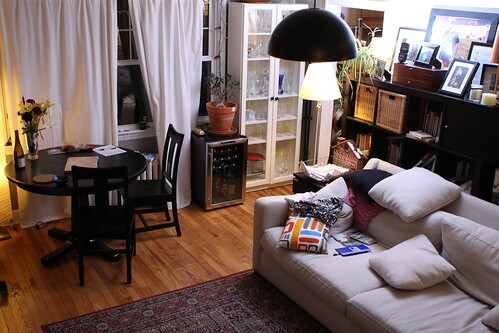 The contents of two rooms were combined into one to make room for them and even with the remodel it will be a little tight squeezing a tree into our cramped living room. During lunch I had enough free time to watch the first forty minutes of the movie The Dictator which was pleasing in that it was exactly what I expected it to be. No more. No less. I look forward to finishing it some day when I get the luxury of having another forty minute block of time. Later in the day I carved out an hour to go to my favorite beer store on one of my quarterly trips to stock up on seasonal beers. 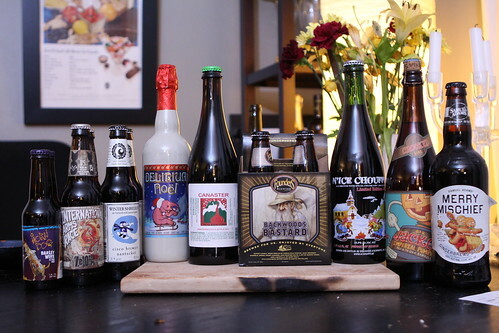 I have recently caught up with my seasonal beers and now it is time to move to the next season. I got a few Christmas ales and some winter ales to start off the season. Christmas ales are generally my favorite beers of the season so I was excited to pick up a few that I hadn't had before. The tricky part about this season is finding the time to actually drink these beers. They say that you make time for the things you truly want to do. They also say that if you do that your babies may not get bathed or eat properly. I guess a stinky baby or two is a small price to pay for the enjoyment of delicious Christmas beers! 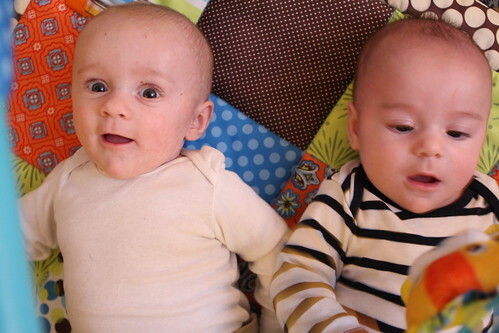 Later int the day I picked up the Wombats from daycare. They have become so much more accustomed to their routine. What used to be a 1-3 hour screaming fit for Martin has turned into a short cry in the car for the first five minutes. After five minutes of playing some Raffi those guys are as docile as can be. When we get home we listen to the rest of the album and then often transition into some Pink Floyd. Elliott is quite fond of Shine on You Crazy Diamond (Part VI-IX). 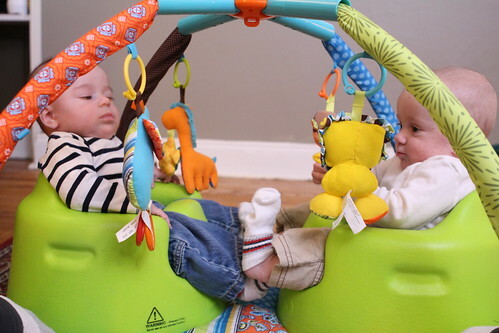 After our listening party they had a summit, a meeting of the minds, in their play gym where they discussed the terms of their cease fire whereby Elliott would leave Martin's ear alone for upwards of four hours. Little did Elliott know this included four hours that Martin would be sleeping anyway. 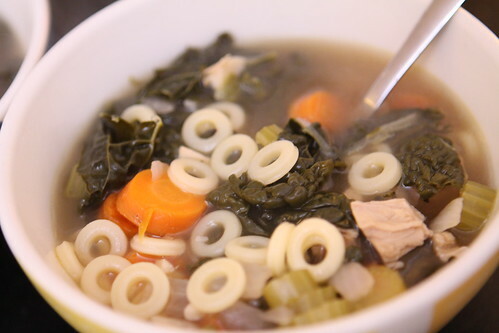 For dinner I took the last of the turkey and made it into this turkey and kale soup. I was craving a turkey soup similar to my mother's rather than trying for anything too different or experimental. I cooked some garlic, red onion, celery, and carrot in a little olive oil. Then I tossed in some of the farm kale, turkey, and the turkey stock I made on Saturday. I thought I had some leftover elbows in the cabinet but it turns out I didn't. 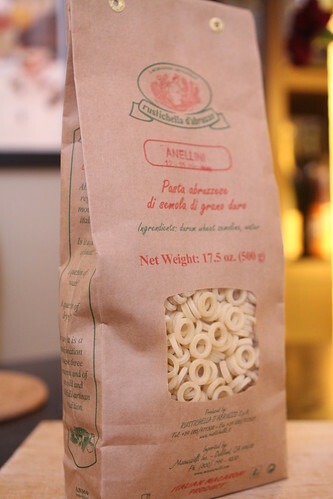 I went out to the local Italian market and was only able to find this fancy pants anellini pasta. It was not the standard American pasta element I'd been hoping for but it actually made for a very nice addition to the soup. It was sort of like alphabet soup except where all the letters are the letter O. 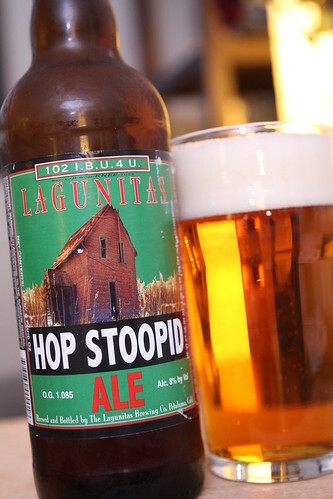 For beer I had this Hop Stoopid Ale from Lagunitas Brewing Co. Jen picked this one up for me recently as a gift. According to her the gift was in celebration (not as a reward) for my first week taking care of the babies by myself. This beer was a little too hoppy for Jen so I enjoyed it alone. It had that incredibly hoppy oniony taste to it. It was good but it's the type of beer that you need to be in the mood for. Luckily I was just in the right frame of mind to enjoy this beer. Jen is leaving for Texas soon. I wonder what I'm going to get for being a single dad during that trip. I hope it's a pony. Hop Stoopid is a great choice by my favorite brewer. I've picked up a couple of six packs of Brown Shugga and have been enjoying one most nights. I'll be waiting for the review of the Delirium Noel. I kind of chickened out of the Delirium Noel last year because there was so much weird looking clumpy sediment in it. That will not happen this year. As for Brown Shugga, I hope to try some this year. I only got to have the substitute last year.